Although more common in adults, sleep apnea can also affect children. While the symptoms are similar, the causes are often different. For example, sleep apnea in the adult population is often related to acid reflux disease and alcohol consumption, while pediatric sleep apnea is commonly linked to tonsil and adenoid problems. Obesity is a common cause of sleep apnea in all age groups, as is the presence of allergies and sinusitis. 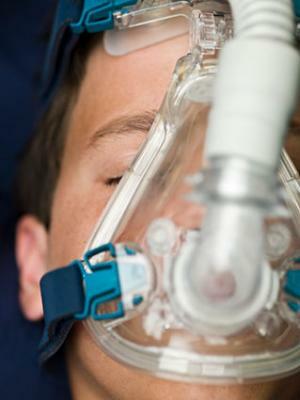 Sleep apnea does not occur as often in children as in adults. However, statistics show that children of certain age groups or children that have certain conditions are more prone to have sleep apnea. The American Sleep Apnea Association estimates one to four out of 100 children are diagnosed with sleep apnea. However, some studies demonstrate an occurrence rate as high as ten out of 100 children. Sleep apnea is most common in children two to six years of age. This is because tonsils and adenoids experience their highest rate of growth during this time period. This is also why the removal of tonsils and adenoids is the top treatment for childhood sleep apnea. One study found that children one and two years of age have the most severe disordered breathing than any other age group. Some childhood conditions are associated with higher rates of childhood sleep apnea. Children born prematurely are more prone to sleep disordered breathing in infancy. Also, sudden infant death syndrome (SIDS) is associated with sleep apnea. According to Kids Sleep Disorders.org, childhood sleep apnea has been observed to occur more often with "autism ... narcolepsy, insomnia, [and] cardiovascular" issues. Allergies that block the sinuses, whether it's hay fever or an allergy to dust, are associated with higher rates of sleep apnea, because the normal passageway through the nose for breathing is blocked. Facial, mouth, cranial, and other physical features could contribute to higher rates of childhood sleep apnea. Children with ADHD (attention deficit-hyperactivity disorder) are more prone to sleep disorders and sleep disordered breathing. Children with ADHD were found to have higher rates of daytime sleepiness or sleep excessively at night, which explains why stimulants work for many children with ADHD. This is a sign of sleep deprivation. In one study, according to the National Sleep Foundation, almost half the children with ADHD studied had problematic breathing while sleeping. As the prevalence of childhood obesity has increased, so has sleep apnea rates. One study found that the amount of children being treated for sleep apnea increased 436%, which is related to the increase in childhood obesity. According to Medscape, there are certain signs parents can look for to determine whether or not their child could have sleep apnea. The best way to diagnose sleep apnea in children is to have the child undergo a sleep study. Sleep studies measure the child's nighttime breathing, such as amount of breaths, the level of oxygen, number of pauses in breathing, and identify the types of disordered breathing the child has. Do Children Outgrow Childhood Sleep Apnea? According to American Family Physician, most cases of childhood sleep apnea are mild. In these cases, children tend to outgrow the condition. However, for children that have sleep apnea and have other types of conditions, such as enlarged adenoids and tonsils or autism, occurrences of sleep apnea could be more severe, and even life threatening. If you suspect your child has sleep disordered breathing, you need to seek help for it right away. Sleep apnea can affect a child's growth and prosperity. Compromised sleep in children is a common but serious problem, and sleep apnea could be occurring because of a more serious, underlying medical condition. Addressing the problem as early as possible will help your child grow and thrive.